Chrysler Pacifica and Ram 1500 Named to Car and Driver’s 10Best Trucks and SUVs List " "
At Orchard Chrysler Dodge Jeep RAM, we take pride in all the cars, trucks, and SUVs we offer drivers in Metro Detroit. That’s why we are so excited that two of our favorite vehicles, the 2019 Chrysler Pacifica and all-new 2019 RAM 1500, have been named to the Car and Driver’s 10Best Trucks and SUVs list. Each year the experts at Car and Driver spend a week driving and evaluating all of the vehicles submitted and then rates them on a 100-point scale that takes into account value, driving experience, and other important criteria. As you might expect, we think this is a perfect time to take a closer look at both the 2019 RAM 1500 and the 2019 Chrysler Pacifica. The RAM 1500 has been completely re-engineered for 2019. 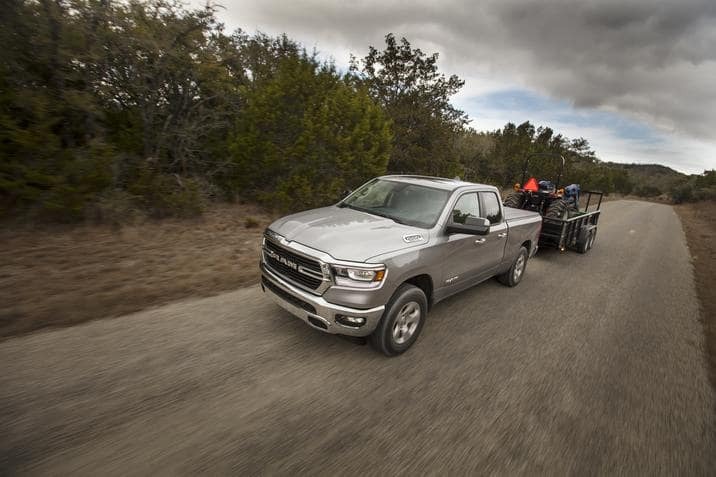 Available quad and crew cab, two box sizes, and 4×2 and 4×4 drive, the 2019 RAM 1500 is lighter and is stronger due to an exclusive front splayed rail design that features 98% high-strength steel. The maximum trailer tow is up to 11,470 pounds and the ride is great thanks to the all-new Frequency Response Damping shocks and class-exclusive air suspension system. When it comes to power there are three different engine choices, including the 5.7-liter V8 HEMI MDS VVT engine that kicks out an impressive 395 horsepower and 410 lb.-ft. of torque. The available eight-speed automatic 8HP75 transmission, 4-Corner Air Suspension, and Front Heavy-Duty Shock absorbers give you a great ride and full control. 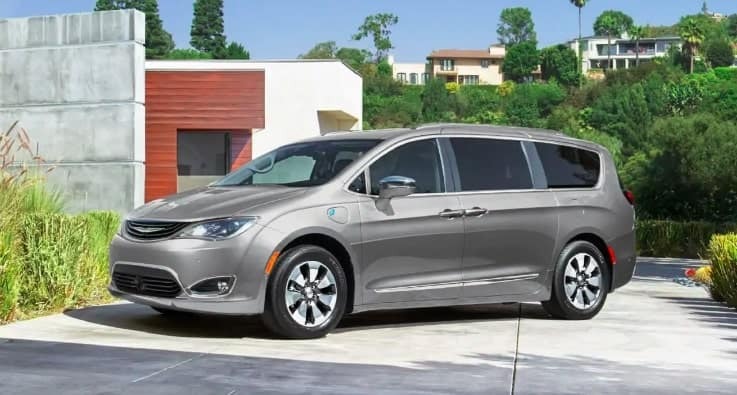 The Chrysler Pacifica is changing the world of the minivan once again in 2019. There are six gas-powered trims that are mostly powered by a 3.6-liter Pentastar Variable Valve Timing V6 engine with ESS technology that produces 287 horsepower at 6,400 rpm and 262 lb.-ft. of torque at 4,000 rpm. When you combine this unique engine with the nine-speed automatic transmission you can expect up to 19-mpg city and 28-mpg highway. * The ride is fantastic thanks to the available touring suspension, electric power steering, and MacPherson strut front suspension. You and your passengers will stay safe thanks to the Advanced SafetyTech Group that includes 360° Surround-View Camera, Automatic High-Beam Headlamp Control, Blind-Spot Monitoring with Rear Cross-Path Detection, and Forward Collision Warning with Active Braking. To keep you connected and entertained you can get a Uconnect Theatre with wireless streaming and two Bluetooth touchpads, the Uconnect 4C NAV multimedia center with 8.4-inch touchscreen, and heated and ventilated driver and front-passenger seats covered in premium Nappa leather. If you want to experience either the 2019 RAM 1500 or the 2019 Chrysler Pacifica for yourself, the time is right to take one for a test-drive. To make that happen, please contact the friendly and knowledgeable sales team at Orchard Chrysler Dodge Jeep RAM today! *Based on EPA estimated highway mpg with 3.6L engine and nine-speed automatic transmission. Actual mileage may vary.